Storytelling tropes are recognizable themes that show up in stories. Upside Down: Inverted Tropes in Storytelling, edited by Monica Valentinelli and Jaym Gates, upends these tropes, turning them upside down. The first section is the stories themselves, then the second section is essays about storytelling and its impact, as well as a list of the tropes used. It was interesting to see folklore and movie arcs treated with the same literary focus in the essays, though it was an abrupt switch from the fantastical stories in section one. Some of the stories really grabbed me. I was very much impressed by the villanelle that opened section one, as they're difficult to construct but look effortless. "Single, Singularity" tells of the attempt to observe how machines developed awareness enough to be intelligent, which doesn't go according to plan. In "Seeking Truth," the blind woman questioning the serial killer is presumed to be psychic but isn't. "Thwock" is extremely short and chilling. "Can You Tell Me How to Get to Paprika Place" tells of cyborgs created out of beloved children's television characters that are trying to find their way home. It has moments of morbid humor, as you realize what some of the companies refer to, but is incredibly heart wrenching at the same time. "The White Dragon" parlays the fear of Chinese people and magic in old San Francisco into a compelling drama. "Santa CIS (Episode 1: No Saint)" involves the search for missing children by figures from folklore, and as the title implies, reads like the pilot episode of a TV show. 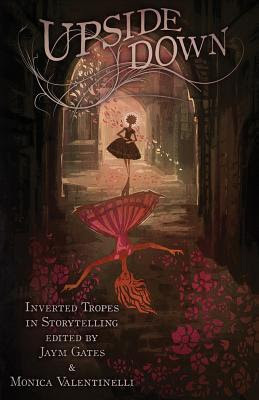 If you're a fan of folklore, fairy tales or heroic tropes, this is a great collection for you. Born and raised in New York City, M.K.French started writing stories when very young, dreaming of different worlds and places to visit. 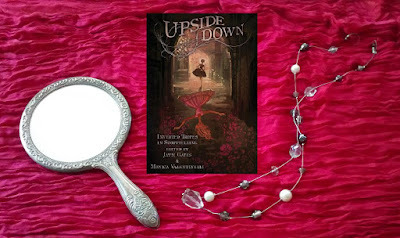 She always had an interest in folklore, fairy tales, and the macabre, which has definitely influenced her work. She currently lives in the Midwest with her husband, three young children, and golden retriever.